Viareggio is a city with a population of about 63,800, located in the north-western part of Tuscany along the Versilia's shore, between the Burlamacca canal to the south and the Camaiore ditch to the north, it takes its name from the Latin Via Regis (Via Regia). Situated at about 2 mt above the level of the sea, the city was built in the 16th century as a door on the sea useful for the Republic of Lucca. But its strategic position attracted the attention of Pisa, so that a long dispute between the two cities begun that ended with the predominance of the Lucca-Genoa alliance against Pisa. Thanks to its territory's special features, to the proximity to the sea and to its strategic position ideal for navigation and maritime commerce, Viareggio immediately saw an important development that turned it into a Lucca's Republic municipality starting from 1701. Promoted as a city between 18th and 19th century by the Borbonis, in 1861 it entered the Kingdom of Italy, starting to gain its current look: a tidy and safe city with a beautiful beach surrounded by comfortable bath establishments. Today Viareggio is a very lively city, with a fruitful activity from an industrial and craftsmanship point of view, and the naval dockyard is one of its most developed industrial fields. But what really transforms this special city in a unique place is its lively cultural character, clearly visible thanks to a series of events that contribute to make of Viareggio - in despite of its limited extension - one of the most active cities if compared to others in Europe. Just think about the famous Carnival of Italy and Europe, the Viareggio Repaci Literary Prize, the Versiliana and the extraordinary Puccini Festival in Torre del Lago. 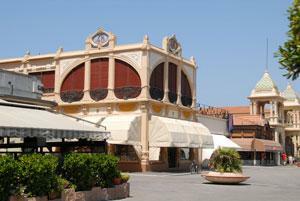 Undisputed centre of the Versilia area, talking from a tourist point of view, today Viareggio takes advantage of its strategic position, yet. This is a city that, besides its position on the sea and its beaches that represent the favourite destinations for visitors coming from all over the world, is well connected to the nearest centres. From Viareggio, in fact, you can easily reach the major centres of Tuscany such as Pisa, Lucca and Florence, but also smaller villages such as Pietrasanta, Forte dei Marmi, Torre del Lago, Cinque Terre and Camaiore, mirror of Versilia's natural beauty. 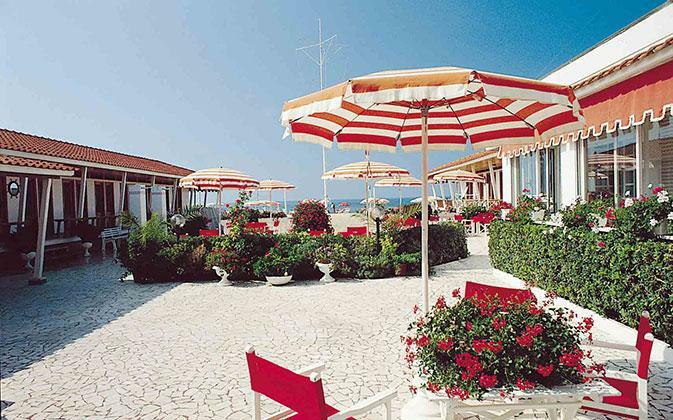 For more information about Viareggio, we suggest you to visit the following website About Versilia.